Alastair's research follows two interlinked main streams: 1) customer-to-customer and customer-to-service provider interactions, and 2) service environments and their impact on consumer emotions and customer behaviour. Prior to gaining a PhD in Marketing Management in 2005 he has had extensive experience in both the commercial and public sectors. This included over 20 years of running his own businesses in areas such as retail, property management and architectural/engineering design. To date Alastair's work has been published in: academic journals (Journal of Business Research, Psychology and Marketing, European Journal of Marketing, Marketing Theory, Managing Services Quality, Journal of Management and Organisation, Australasian Marketing Journal); as book chapters (Research on emotions in organizations, Research companion to emotions in organizations, Streaming Media in Higher Education, Serving Customers: Global reflections on Services Marketing) and at numerous international conferences. 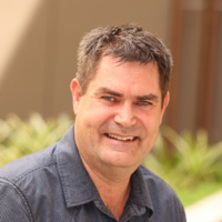 He has received a "best article" award in the Australasian Marketing Journal as well as "best paper" awards at Australasian, American and European marketing conferences. Exploring the effect of marketing cues on consumer behaviour conformity in different industries. Tombs, Alastair and Tuzovic, Sven (2013). The role of emotions in service customer decision-making. In Raymond P. Fisk, Rebekah Russell-Bennett and Lloyd C. Harris (Ed. ), Serving Customers: Global Services Marketing Perspectives (pp. 86-107) Prahran, VIC, Australia: Tilde Publishing and Distribution. Dasborough, M. T., Sinclair, M., Russell-Bennett, R. and Tombs, A. (2008). Measuring emotion - Methodological issues and alternatives. In N. M. Ashkanasy and C.L. Cooper (Ed. ), Research Companion to Emotions in Organizations (pp. 197-208) Cheltenham, United Kingdom: Edward Elgar Publishing. Pathak, Kavita, Weerawardena, Jay and Tombs, Alastair (2012). Life beyond the valley of death: Market development for surviving the chasm in case of high-tech start-ups. In: IIML International Conference in Marketing: "Shaping the Future of Research in Marketing in Emerging Economies: Looking Ahead", Lucknow, India, (). 12- 14 January 2012. Is co-creation of value by customers detrimental to the firm? Tombs, Alastair (2011). Is co-creation of value by customers detrimental to the firm?. In: The Auckland Workshop on SDL: Extending service-dominant logic in marketing., Auckland, New Zealand, (). 11-12 March 2011. Rao Hill, Sally and Tombs, Alastair (2011). The effect of service employee accent on service quality perception: An exploratory study. In: Zhihong Yi, Jing Jian Xiao, June Cotte and Linda Price, Asia-Pacific Advances in Consumer Research. Asian-Pacific Conference of the Association for Consumer Research (6th, APACR, 2011), Beijiing, China, (38-40). 16-18 June 2011. McColl-Kennedy, Janet R. and Tombs, Alastair (2011). When customer value co-creation diminishes value for other customers deliberately or inadvertently. In: E. Gummesson, C. Mele and F. Polese, Proceedings: Service Dominant logic, Network & Systems Theory and Service Science. Naples Forum on Service: Service-Dominant Logic, Service Science, and Network Theory, Naples, Italy, (1-21). 15-17 June 2011. Pathak, Kavita, Weerawardena, Jay and Tombs, Alastair (2010). Market development by high-tech firms: An examination of their encounters with the 'chasm' in reaching critical market segments. In: Academy of Indian Marketing International Conference on "Emerging Markets in the New World Order- the Paradigm Shift"., New Delhi, India, (). 16 - 18 December 2010. Rao Hill, Sally and Tombs, Alastair G. (2010). The effect of accent of service employees on customer service evaluation: The role of customer emotions. In: Paul Ballantine and Jörg Finsterwalder, Proceedings ANZMAC 2010. Australian New Zealand Marketing Academy Conference (ANZMAC 2010), Christchurch, New Zealand, (1-9). 29 November - 1 December 2010. Tombs, Alastair G. and McColl-Kennedy, Janet R. (2010). They may play up but it's your fault: The attributions toward other customers. In: ANZMAC 2010 Book of Abstracts. Australian and New Zealand Marketing Academy Conference [ANZMAC], Christchurch, N.Z., (1-1). 29 November-1 December 2010. Tombs, A. and Nguyen, D. (2009). Developing case-based dramatised videos as teaching resources: A case study. In: Tojib, D., Sustainable Management and Marketing: ANZMAC 2009 Conference Proceedings. Australian and New Zealand Marketing Academy (ANZMAC) Conference 2009, Melbourne, Australia, (1-6). 30 November - 2 December 2009. Russell-Bennett, Rebekah, Keeffe Dominique, A. and Tombs, Alastair (2008). The mediating role of emotions on service recovery, blame and customer behaviour. In: Keith Perks and Paurav Shukla, Marketing landscapes : a pause for thought : 37th EEMAC conference proceedings. 37th European Marketing Academy Conference: Marketing Landscapes: A Pause for Thought, Brighton, U.K., (). 27-30 May 2008. Backstage visibility: Do the customers care? Glinoga, M. and Tombs, A. (2007). Backstage visibility: Do the customers care?. In: Thyne, M., Deans, K. R. and Gnoth, J., ANZMAC 2007 Reputation, Responsibility, Relevance: Conference Proceedings. Australian and New Zealand Marketing Academy (ANZMAC) Conference 2007, Dunedin, New Zealand, (2541-2549). 3-5 December, 2007. Keeffe, D., Russell-Bennett, R. and Tombs, A. (2007). Consumer retaliation: The role of service recovery efforts, attributions of blame, and anger following a service failure. In: Engilbertsson, H. O., Flexible Marketing in an Unpredictable World: Proceeding of the 36th EMAC conference. European Marketing Academy Conference: Flexible marketing in an unpredictable world, Reykjavik, Iceland, (1-10). 22-25 May, 2007. Tombs, A. and McColl-Kennedy, J. R. (2007). Consumers as social spatial influencers. In: C. W. DeMoranville, Academy of Marketing Science, World Marketing Congress, Verona, Italy, 2007. World Marketing Congress 2007, Verona, Italy, (278-278). 11-14 July, 2007. Russell-Bennett, R., Tombs, A. and Ashkanasy, N. M. (2007). Recognition of emotional expression in cross cultural service encounters. In: A. Hede, ISRE 2007: Book of Abstracts. XVIth Conference of the International Society for Research on Emotions ISRE 2007, Coolum, Queensland, (78-78). 11-14 July, 2007. Tombs, A. and Russell-Bennett, R. (2007). The efficacy of facial expression in determining emotions associated with cross cultural service failures. In: Thyne, M., Deans, K. R. and Gnoth, J., ANZMAC 2007 Reputation, Responsibility, Relevance: Conference Proceedings. Australian and New Zealand Marketing Academy (ANZMAC) Conference 2007, Dunedin, New Zealand, (2713-2721). 3-5 December, 2007. Keeffe, Dominique, Bennett, Rebekah and Tombs, Alastair (2006). An investigation of cognitive, emotional and negative behavioural responses to service recovery strategies. In: George J. Avlonitis, Nikolaos Papavassiliou and Paulina Papastathopoulou, Sustainable Marketing Leadership: A synthesis of polymorphous axioms, strategies and tactics. Proceedings of the 35th EMAC Conference. European Marketing Academy Conference (35th, EMAC, 2006), Athens, Greece, (1-11). 23-26 May 2006. Keeffe, D., Bennett, R. and Tombs, A. G. (2006). Caveat venditor: How emotions and cognition influence consumers' negative behavioral responses to service recovery. In: N. M. Ashkanasy, Fifth International Conference on Emotions and Worklife (Emonet V) Conference program and Paper Abstracts. Fifth International Conference on Emotions and Worklife (Emonet V), Atlanta, GA, USA, (13). 10-12 August, 2006. Tombs, A G (2006). Customer influence on social-fugal and social -petal customer behavior within the servicescape. In: J. McColl-Kennedy and R. Rust, 15th Annual Frontiers in Service Conference. 15th Annual Frontiers in Service Conference, Brisbane, Australia, (126). 29 June - 2 July, 2006. Do our feelings leak through the clothes we wear? Tombs, A. G. (2006). Do our feelings leak through the clothes we wear?. In: Y. Ali and M. van Dessel, Australian & New Zealand Marketing Academy Conference: Advancing Theory, Maintaining Relevance. Australian & New Zealand Marketing Academy Conference, Brisbane, Australia, (1-8). 4-6 December 2006. McColl-Kennedy, J. R. and Tombs, A. G. (2005). Customer to customer emotional contagion and counter-contagion in a social service setting. In: Roland T. Rust, Abstracts and Programs. 14th Annual Frontiers in Services Conference, Tempe, Arizona, (113-113). 6-9 October, 2005. Tombs, A. G. and McColl-Kennedy, J. R. (2005). Customer to customer emotional contagion: Group vs private purchase occasions. In: J. Wirtz, 4th SERVSIG Research Conference 2005, Singapore, (33-33). 2-4 June, 2005. Tombs, A. G. and McColl-Kennedy, J. R. (2005). The impact of social density, purchase occasion and displayed emotions of others on customer affect and behavioural intentions. In: G. Triolo, Rejuvenating marketing: Contamination, innovation, integration. 34th European Marketing Academy Conference (EMAC), Milan, Italy, (1-8). 24-27 May 2005. Tombs, A. G. (2004). The contextual effects of emotional contagion in service environments. In: R. Bennett, Book of Abstracts: 2nd Brisbane Symposium on Emotions and Worklife. 2nd Brisbane Symposium on Emotions and Worklife, Brisbane, (24-24). 26 November, 2004. Tombs, A. G. and McColl-Kennedy, J. R. (2004). The importance of physical, social and contextual elements of the social-servicescape on customer affect and repurchase intentions. In: Jim Wiley and Peter Thirkell, Marketing Accountabilities and Responsibilities: ANZMAC 2004 Conference Proceedings. ANZMAC 2004: Australian and New Zealand Marketing Academy Conference, Wellington, New Zealand, (1-9). 29 November-1 December 2004. Tombs, A. G. and McColl-Kennedy, J. R. (2003). Customers as spatial and social influencers on other customers in the social-servicescape. In: G. Geursen, R. Kennedy and M. Tolo, ANZMAC2003 Proceedings: A Celebration of Ehrenberg and Bass: Marketing Discoveries, Knowledge and Contribution. Australian and New Zealand Marketing Academy Conference (ANZMAC 2003), Adelaide, Australia, (2090-2097). 1-3 December 2003. Tombs, A. G. and McColl-Kennedy, J. R. (2003). The social servicescape: A conceptual model. In: Michael Saren and A. Wilson, Marketing: Responsible and relevant?. 32nd European Marketing Academy Conference (EMAC), Glasgow, Scotland, (1-7). 20-23 May, 2003. Tombs, A. G. (2003). The social servicescape: The impact of customers on the service environment. In: L. Johnston, ANZMAC Doctoral Colloquium 2002, Deakin University, (). 30 November - 1 December, 2002. Tombs, A. G. and McColl-Kennedy, J. R. (2002). Beyond the servicescape: Customer to customer interactions in the social servicescape. In: R. N. Shaw, S. Adam and H. McDonald, Australian and New Zealand Marketing Academy Conference (ANZMAC 2002), Melbourne, Australia, (1461-1466). 2-4 December, 2002. Tombs, A. G. (2002). The social servicescape: A conceptual framework. In: A. Pinnington, 4th Annual RHD Student Colloquium - Abstracts. 2002 Research Student Colloquium, Riverglenn Conference Centre, Indooroopilly, (72-72). 1 June, 2002. Tombs, A. G. (2001). Servicescapes: Bitner and beyond. In: G. Lafferty and D. Williams, Third Annual Research Colloquium - Abstracts. Third Annual Research Colloquium, Indooroopilly, Qld, Australia, (22-22). 2 June, 2001. Tombs, A. G. (2001). The influence of people within a servicescape on the behaviour of customers. In: S.Chetty and B. Collins, Proceedings of the Australian and New Zealand Marketing Academy Conference. Bridging Marketing Theory and Practice, Massey University, Auckland, NZ, (). 1-5 December,2001. Tombs, Alastair. (2005). The social-servicescape : influence of other customers on customers present PhD Thesis, School of Business, The University of Queensland. A time for principled action: The theory of principle-based marketing. A conceptual model and empirical validation. Scent sensitivity and scent preferences: What is the role of emotional intelligence?